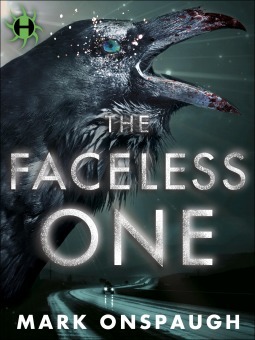 The prologue of Mark Onspaugh’s The Faceless One is a primal delight. We begin in the forested snow-scape of rural Alaska, 1948, where young Jimmy Kalmaku embarks on a dark journey with his uncle deep into the tundra. Hidden within a remote cave is an evil of which Jimmy has never imagined. It is also where he learns that he will succeed his uncle as shaman and inherit the task of keeping the Faceless One locked up in that cave. Clearly, we are not finished with the cave. With this spine-tingling opener, Onspaugh has swirled together the elements of great storytelling: odyssey, myth, duty, loss of innocence. There is a sad inevitability in this scene. Present are the generations of tribesmen, forward and back, guarding this secret place—a never-ending watch against something that exists outside of timespace. Something hallowed. Something in the blood. Onspaugh has a tender touch that imparts soul into this icy epic which spans generations and locations, jumping ahead to present day when Jimmy, now an elderly man, learns that an archeologist has displaced the mask keeping the Faceless One captive. With the ancient evil unleashed, Jimmy is called to action. He must remember his uncle’s words… and the way to that dark place. Releasing this book on Oct. 28 is brilliant marketing—not simply because October is a good time for horror fiction, but because the setting of The Faceless One is a set-piece for a chilly night. What better time than when the veil between the worlds is thinnest to encounter a shapeless evil? To follow its trail from Alaska to New York to Seattle and beyond. From generation to generation, blood to blood.